Orgosolo has long held the distinguished title of bandit capital of Sardinia. hile the rest of Italy unwinds into holiday revelry, a handful of communities folded into the craggy hills of Sardinia’s interior are gripped by fear. Buried deep in the isolated Supramonte massif is a tightly-guarded, archaic law of the land whose keepers descend from those who fought vehemently to resist foreign rule. The Romans dubbed the area Barbarie (present-day “Barbagie”) after its inhabitants’ barbarian-like tenacity. Just as Sicily and Calabria developed underworld networks to police their own affairs, so did Sardinia. Even today, the island’s patchwork center retains a sense of rebellious autonomy. Christmas season brings back its more violent side, including the age-old traditions of kidnapping, banditry and vendetta. Bloodbaths are not uncommon. Traditionally, struggling shepherds would steal sheep from rival villages while never touching herds belonging to their own town — a nod to Bronze Age Sardinia, when feuding tribes regularly quarrelled with their neighbors but never among themselves. Sheep-rustling gradually gave way to the more lucrative practice of kidnapping wealthy landowners. More recently, vacationers became targets. They were often hidden in the mountains for months until ransom demands were met met. Locally, these bandits are often romantically viewed as noble Robin Hoodish guards of Sardinia’s impoverished struggle; ransacking the wealthy to help the less fortunate, and defying the Roman government just as their ancestors resisted the Roman empire. Sardinia’s most famous living bandit is Graziano Mesina, known as “The Scarlet Rose.” First arrested in 1956 at age 14, Mesina has spent 40 of his nearly 70 years behind bars and has escaped authorities no fewer than 11 times through such daredevil acts as fleeing from a moving train with handcuffs still on, launching himself out a third-story hospital window and even dressing as a woman in traditional Sardinian costume and walking out of a house that was surrounded by carabinieri. Each time the Rose was on the run, he hid out in the Supramonte while his home mailbox received racy love letters from female admirers. In the middle of a prison stint in 1992, Mesina was used by detectives to successfully arrange the release of Farouk Kassam, a seven-year-old Egyptian boy kidnapped from the Costa Smeralda. 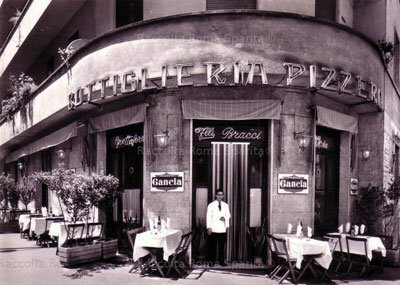 This solidified Rose’s status as a cult hero among Sardinians and led to a prison pardon from Italian President Carlo Azeglio Ciampi years later. Yet there’s a fine line between romanticism and revenge. Once a bandit oversteps an unspoken code and kills seemingly innocent bystanders, in comes the thorny tradition of vendettas — when family members of the slain swear to take the life of the assassin. This is what bit Mesina the hardest. When fleeing from the law in the 1960s, he learned his brother had been killed. Unable to find the murderer, Mesina settled for shooting the presumed assassin’s brother. Vendettas always take place between mid-December and early January when the victim’s family is together and are ideally carried out with close-range shots to the face so as not to grant the grieving family the dignity of an open-casket funeral. Vendettas were so widespread in Sardinia that through the early 1900s it was customary at christenings to consecrate a few bullets and place them in the swaddling clothes of infants. The shepherding hamlet has since tried to soften its image by daubing its austere cinderblock buildings with roughly 120 politically-charged murals. Inevitably, most of these poignant Daliesque paintings deal with the struggle to end corruption, violence, and greed in an area which has long been victim to all three; many underlined by stirring captions in Sardo. Yet, even with the cosmetic makeover, Orgosolo has yet to fully shake its troubling past. 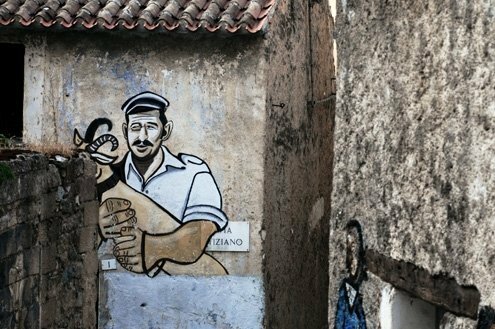 Many of the murals’ lyrical verses come from Peppino Marotto, an 82-year-old poet shot six times in December 2007 as he stepped out to fetch the morning paper — an act rumored to stem from a vendetta dating back to the 1950s. Coincidentally, nearly nine years earlier to the day, a local priest was shot dead to silence his sermons railing against gun violence. Eliot Stein is a proud native of Silver Spring, Md. He graduated from Emory University with a degree in Italian studies and journalism and left for Italy the next morning. He has studied sociolinguistics at the University of Siena, kayaked through the Tuscan archipelago and taught English in Cagliari, Sardinia. He is the author of Footprint's guidebook to Sardinia and his writing has appeared in Travelers' Tales Best Travel Writing 2008 anthology, Budget Travel, MSNBC.COM, and Creative Loafing. He now lives and works in Washington, D.C.